Instagram is a great place to build your personal brand and build deeper connections. Whether you want to build stronger customer relationships or connect with like-minded people, Instagram can help you do just that. But how do you actually achieve the mentioned things? In this article, we’ll be listing the most powerful ways to improve your personal brand on Instagram. Consistency is key on social media and on Instagram likewise. Different from other places, Instagram is not a place where you automate most of the work and then let it run itself. Instead, Instagram requires constant and consistent activity and effort if you want to generate results. If you want to build your brand on Instagram or in any other way achieve some sort of success on Instagram, you must know that it takes time and effort – and most importantly being consistent. This isn’t something you will achieve over night. If you miss a day or two of posting, there’s a big chance that you will see a slight dip in your engagement. If you miss weeks or even months, this will have a very negative effect on your page as you’ll start losing followers and your engagement will drop dramatically. I cannot stress this enough! This is one of the key elements to growing your page and ultimately start having an impact on your followers. The key to achieving great results by engaging is by doing it with the right people. Your main focus should be engaging with those who are in the same niche as you and post similar content. These people are more likely to start following you and engage with your page as they’re genuinely interested in what you post. By engaging, you’re not only increasing your own engagement but you can also build some very valuable connections and improve your credibility thanks to the fact that other users are engaging with your page. A lot of Instagram users are missing out on a golden opportunity of growing their page, increasing their reach and building their brand. This golden opportunity is hashtags. By using targeted and well-thought hashtags, you reach those in the same niche as you and increase the chances of being discovered by people who enjoy what you post. Apart from engaging, this is a tactic that is one of the best and most effective if you’re looking to increase your reach and build your brand on Instagram. With hashtags, targeting plays an important role. As your main goal is to get targeted and engaged followers, you want to reach out to those who has similar interests as you. With hashtags, you can do this in a heartbeat. Simply decide on the most relevant keywords for your niche and then add them to your post. If you’re new to hashtags, read Why you should use hashtags. 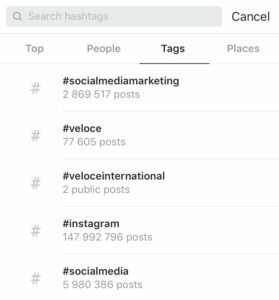 For more, read how to use Instagram hashtags in the most effective way to become a hashtag expert. This is also a golden example of smart marketing. Coca-Cola wants to build an idea of a brand so closely linked with a colour that every time you see that colour, you’ll instantly think of their brand. Now, you might not be able to build a brand image as strong as Instagram, at least not short-term but if you want to succeed with improving your brand identity on Instagram, you have to put a lot of thought into the things discussed above. Your personal brand and brand message is very closely linked together – even if you don’t have a business because the fact is that you are your own brand. This is why it’s important that you have a consistent brand message across all social media platforms you are active on – not only Instagram. Taking all of these steps into practice is essential if you want to grow your Instagram and improve your personal brand. Remember to stay consistent, engage with your audience and keep a consistent theme and message. NextWhat Happens When You Remove Someone On Snapchat?